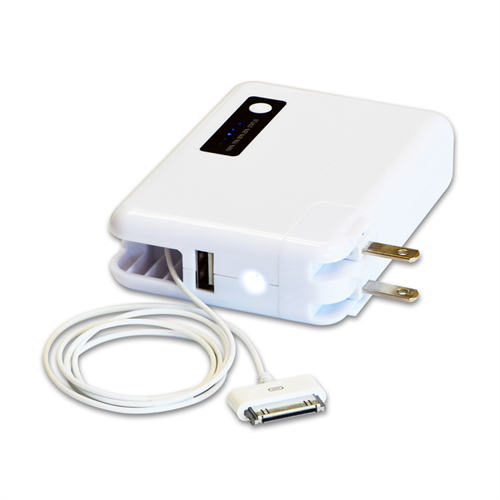 This retractable, mobile power bank for iPhone 4/4S is the perfect accessory for those iPhone 4 users persistently on the go. Whenever and where ever you need a quick charge to extend your battery life for the remainder of your day’s activities, simply plug it in. It even includes a charging light which will change colour to indicate that your battery is fully charged. Too dark for you to see what you’re doing? That’s no problem either as the built in flashlight allows you to illuminate your surroundings in a “flash”.&nbsp; This power bank is a multi-faceted tool which is sure to come in handy in various circumstances and guarantees your phone is as charged as you are! -- Libratel Inc. 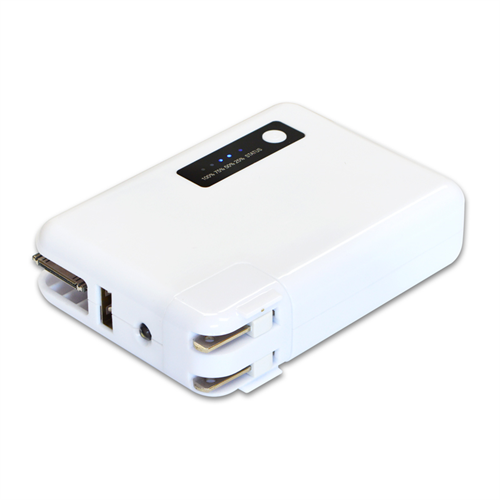 This retractable, mobile power bank for iPhone 4/4S is the perfect accessory for those iPhone 4 users persistently on the go. Whenever and where ever you need a quick charge to extend your battery life for the remainder of your day’s activities, simply plug it in. It even includes a charging light which will change colour to indicate that your battery is fully charged. Too dark for you to see what you’re doing? That’s no problem either as the built in flashlight allows you to illuminate your surroundings in a “flash”. 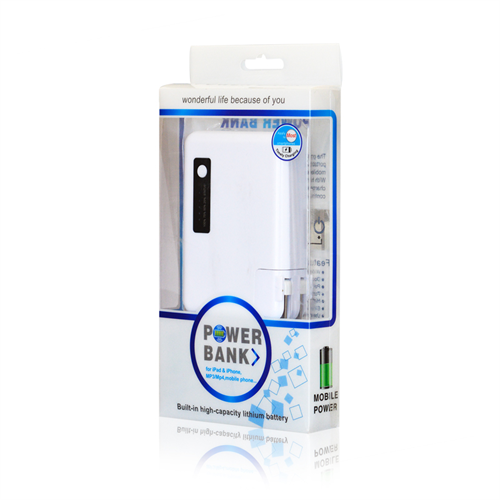 This power bank is a multi-faceted tool which is sure to come in handy in various circumstances and guarantees your phone is as charged as you are!